These days, owning a well equipped gym can be a very lucrative business. A lot of people are becoming increasingly concerned about their health and wellbeing, and it is hardly surprising considering that we see obesity related warning on an almost daily basis. Diets can help you to lose weight, but they cannot make you fit, so joining a gym seems like a great idea. Of course, the biggest problem with a gym membership is the fact that most people soon become bored with having to follow the same old routine day in and day out. Many people also stop going because they might feel like they don’t fit in, or because they feel that a regular gym cannot cater for their personal requirements. Fortunately, exercise equipment for home use has come a long way over the years, particularly during the last two decades. 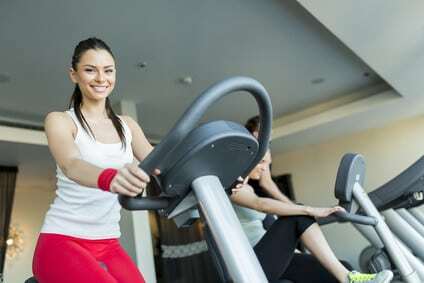 In the past, an elliptical trainer for example, was to a great extent just a bicycle without wheels. If you were lucky, you could select “gears” and even see what speed you were doing, and what distance you had covered. Those days are gone, as can be seen when viewing the product range available from YOWZA Fitness. YOWZA Fitness offers an impressive range of technologically advanced fitness equipment. YOWZA treadmill and their elliptical trainers are well and truly State-of-the-Art, but when you are spending this sort of money, there are other things to be taken into consideration as well, including things like customer service; warranties; delivery and installation, and etc. Please keep in mind that the YOWZA Elliptical review which follows is based exclusively on the information I have obtained while studying more reviews than I care to remember. I have done everything I can to ensure that this review is as unbiased and as honest as possible. I hope it can help you in some way. YOWZA Fitness® is a home grown American manufacturer and supplier of technologically advanced exercise equipment. Unlike most of their competitors, the company has chosen to focus entirely on folding and non-folding treadmills; fixed motion ellipticals, and Variable Motion Ellipticals (VME). According to their website, superior quality and outstanding customer service forms the foundation on which the Company has been built. Their success can also be attributed to the fact that they consistently aim to incorporate the latest available technology in the design of their various products. All products are dispatched directly from the Company’s warehouses, and all products come with a Lifetime Limited Warranty. A feature which might be of great importance to one person might be meaningless to someone else. Because most of the Company’s products are packed with different features, it is difficult to say which ones are the best, and which ones aren’t. So, instead of trying to highlight the pros of various features, I have decided to list the general pros of YOWZA Fitness and their products, based on the opinions of countless past customers. MyLiveLite – MyLiveLite is essentially a digital hub of “lifestyle management” web and mobile applications, and it is freely available to all customers. In fact, it is a perfect example of how technology can help to improve both your heath and your lifestyle. Track your progress; share it on social media while you are busy working out, and even have tailored fitness programs sent to you based on the progress you’re making. In short, this suite of apps really does take fitness training to a whole new level. No Middle Men – When you buy YOWZA Fitness equipment, you are buying it directly from the manufacturer, and obviously this goes a long way in helping to keep prices down. It should be noted that even if you place an order via an affiliate link, the price remains the same as it is on the Company’s own website. Excellent Quality – Believe me, I have lost track of how many reviews of this Company I have studied, and virtually all of them have commented on how good the quality is. With that having been said, I think most customers would automatically expect good quality since the Company’s products aren’t exactly cheap. Nonetheless, it is certainly reassuring to read so many good reports about the quality of their products. Excellent Customer Service – Getting good customer service ratings consistently can be a massive challenge for any business. To be honest, if I see too many good comments about customer service, I immediately become suspicious because businesses can buy good reviews these days. When I saw how many people were commenting on great customer service from YOWZA Fitness, I made a point of only taking note of comments that have been left by “VERIFIED” buyers. All I can say is that this Company seriously deserves a round of applause. Free Installation – Free installation is included with most purchases, and his can be extremely helpful for people who are not technically minded. Lifetime Limited Warranty – Not only do you get a “no questions asked” 30 days money back guarantee, but you also get a very impressive warranty. I have also read enough reports to satisfy me that the Company actually does honor their warranties. Installment Payments – Buyers who cannot afford to pay the full amount in one go can pay a deposit followed by a number of installments. No interest is charged if the installments are paid in full within 18 months. Delivery Delays – A very small number of customers have reported delivery delays. In some of these cases, orders were delayed for up to two weeks, and apparently, no valid explanation was given for the delays. Damages – Some customers have reported that their orders arrived damaged, or they arrived with broken parts. The same customers have however stated that the Company rectified all problems quickly and without any hassle. The Company has acknowledged that defective parts do sometimes slip through the net, but they also guarantee that they will strive to resolve problems as quickly as possible. Of course, one could argue that when you are paying upwards of $1000, you would expect the Company to inspect all products before dispatching them. Prices start at around $800 and end at around $3000 for top of the range products. YOWZA Fitness is essentially a manufacturer of high quality fitness equipment, and this is reflected in their prices. While I certainly would not class them as being very expensive, you can find cheaper and more basic products elsewhere. All prices are in USD, and customers can pay cash, or they can pay it off in installments. At the time of writing this review, YOWZA Fitness only deliver their products to addresses within the United States. Summary I am happy to recommend YOWZA treadmill and elliptical trainers to anyone who is interested in buying high tech fitness equipment. Their customer service record is flawless, quality of their products is impeccable and they are known to be very trustworthy.